Located next to the private beach in Herceg Novi, in Kotor Bay, Hotel Plaža features an on-site restaurant serving local traditional dishes, a large lobby bar and a spa health centre. The Old Town is just a 5-minute walk away. Rooms at the Plaža feature a seating area with table and chairs, satellite TV and a phone. En-suite bathroom is featured in each room and provides a shower and free toiletries. Free Wi-Fi is available in public areas of the hotel. Surrounded by traditional Mediterranean vegetation, the hotel boasts a sun terrace where guests can enjoy dining al fresco. The private hotel beach offers an opportunity to rent deck chairs and parasols. 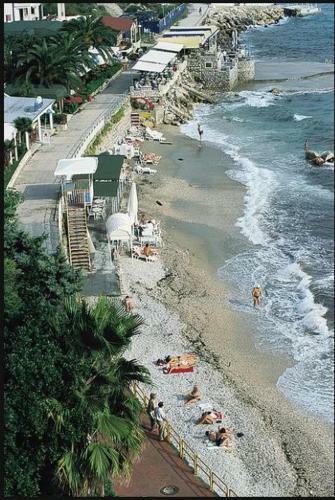 Herceg Novi features numerous spa resorts and is famous for its healing Igalo mud. The Castle Forte Mare can be reached in a few minute’s walk from the Plaža. Main Bus Station can be reached in a 10-minute walk. Grocery store is a 5-minute walk away. The Pet Danica Promenade starts right in front of the hotel. The Croatian border is just 10 km away, and Dubrovnik can be reached in 48 km. Dubrovnik International Airport is 25 km from the Plaža. Spacious room featuring satellite TV, a phone, a seating area and a wardrobe. En-suite bathroom featuring a shower and free toiletries is provided.